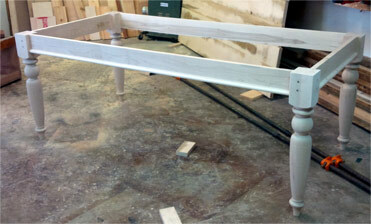 It is with loving attention to detail that each Heritage House original is custom built by hand. Selecting only the finest woods, assembled with time honoured joinery techniques, then hand finished to flawless perfection. This is what Heritage House is all about. 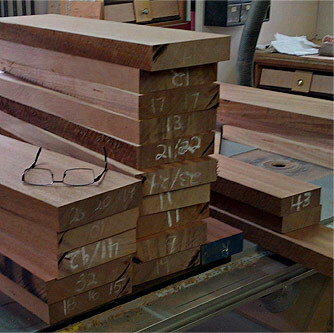 At Heritage House I hand select each board for grain and colour from grade “A” woods such as cherry, maple, walnut, oak and pine. Figured woods such as tiger maple and reclaimed lumber are also employed in many of my pieces. All boards are also grain matched during the build process ensuring a seamless look to the finish piece. 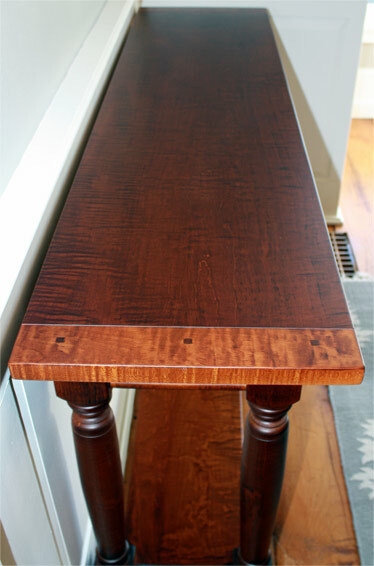 No plywood products are used in custom furniture construction. 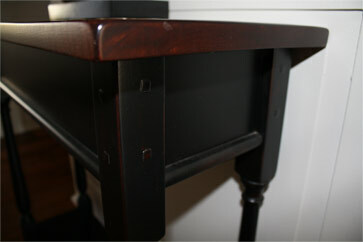 All parts including drawer bottoms and cabinet backs are solid wood. 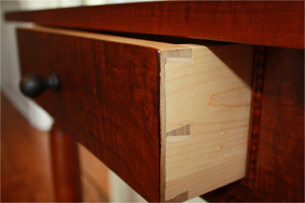 Joinery is the hallmark of a quality piece - the signature of the cabinet maker who created it. 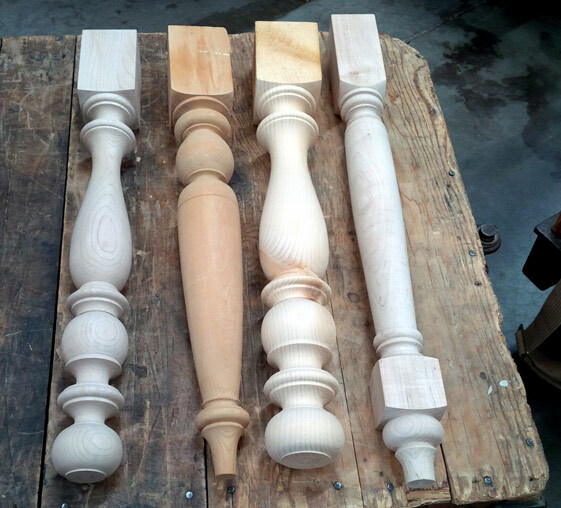 It is joinery that makes one piece stand out from the others. Its desirability however is much more than aesthetics alone. 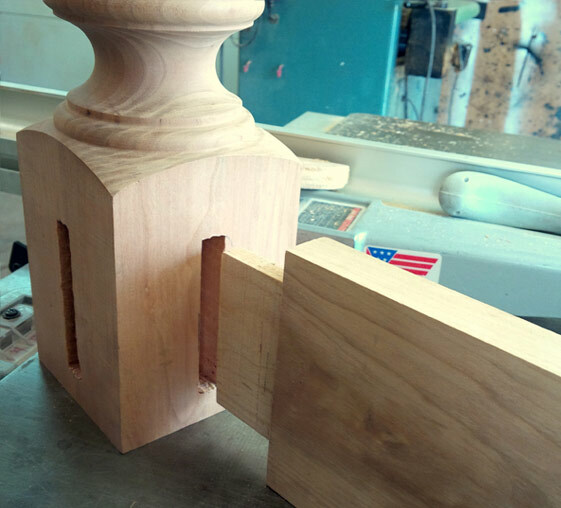 Traditional wood joints are far more superior to those secured by mechanical fasteners or cut by machines. I take great pride in using time tested, hand cut joinery methods - dovetailed drawers, mortise and tennon frames, tongue and groove bead board and breadboard tops. 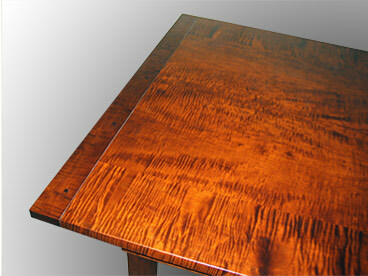 Nothing impacts the final look of a project more than the depth and quality of the finish. At Heritage House up to one third of the time invested in a build is devoted to the finishing process. Beginning with hand planning followed by multiple levels of sanding and completed with a complex range of stains, dyes, paints and glazes - all applied with skill and patience. It is this unique blend of traditional artistry paired with modern, clear topcoats which provide a rich, vintage look combined with everyday use durability.